A modern interior is all about the style and function. When it comes to stairways, architects and designers gun for a practical addition to your property while enhancing the beauty of your home. For over four decades, Ackworth House has been at the forefront of staircase design. We manufacture, supply and install a wide selection of Ascendo floating stairs for both residential and commercial applications. Our Separare range, more specifically, is a client favourite. It was recently featured on a building and renovating reality TV show and continues to be one of our most valuable stairway collections. What sets open riser stairs apart from other stairways is the unobstructed space between adjacent treads. It veers away from enclosed designs and gives the illusion of floating steps from afar. The design has been popular amongst homes and corporate environments, complementing the contemporary aesthetic of their interiors. Our Separare stairs are recognised for their sophisticated open riser qualities. No matter the shade of timber, darker and bolder hues are offset by the weightlessness of the fluid design. The unique stairway adds a touch of sophistication to any space. If your house has curves and protruding textures, suspended stairs balance it out with straight lines and angular structures. Our Separare stairways are sleek and minimalist in design, and this beautifully counteracts any rough edges in your home. Another exquisite characteristic of Separare stairs is how it allows daylight to shine through the staircase. It maximises natural light while making a room seem larger than it is. Well-lit spaces are quintessential to a contemporary interior, and Separare gives you exactly that. Our team at Ackworth House understands the importance of smart and bespoke design. We can craft Separare stairs in the timber, tread and shape of your choice. 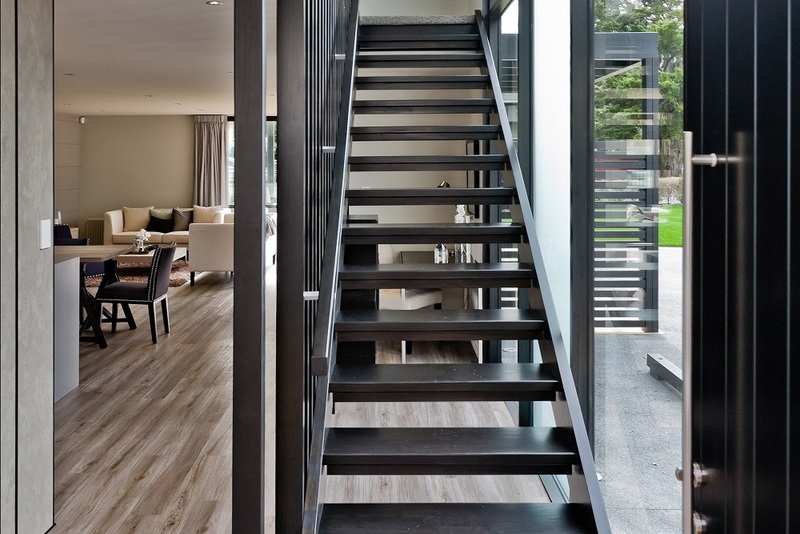 Call 0800 ACKWORTH for more details or browse through our website to see which modern stairway suits your property best.